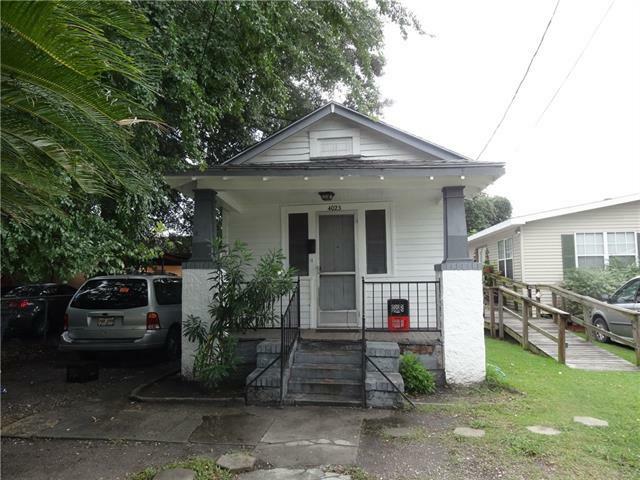 Cute Gentilly Cottage. Great starter Home. Cheaper than rent! Great for Parents with Students at UNO, SUNO or Dillard University. 7 min to the French Quarter, 10 to the CBD. Property was updated and repaired after Katrina. Unit is occupied by a long time tenant. She is of some years and difficult to reach by phone. often we must physically visit the property to reach her. We will need at least 24 hr notice and possible more The good news is she has been there for 10 years without issue. Listing provided courtesy of Al Claude of Tlc Realty, Inc..